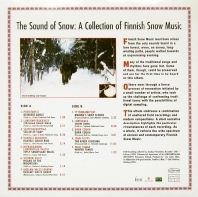 Recordings of Snow Music are rare, and even more rarely are they presented to a greater public. This may seem curious, considering that the Kalevala, the national epos of Finnish people, explicitly mentions “songs scooped out of the frost”. Despite this lack of official presentation, snow tunes and rituals have been performed long before and after the publication of the Kalevala in 1835. 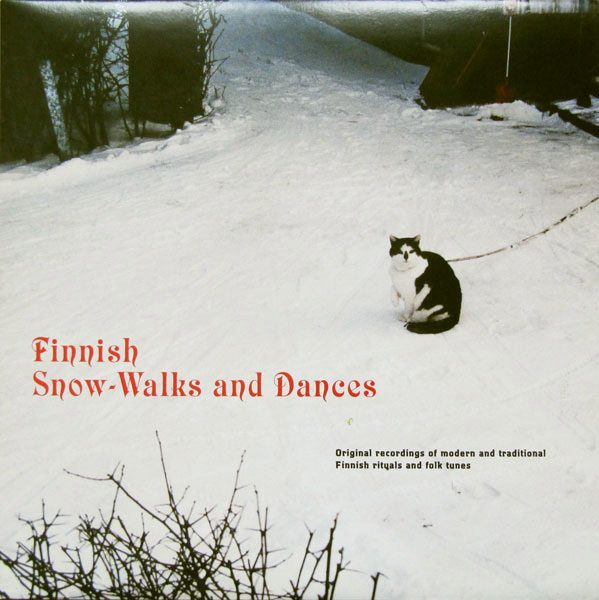 This album now lays some of the finest examples of Finnish Snow Music in your hands. Most of the material originates from field recordings made in North Karelia and Lapland. The modern pieces were recorded in Helsinki, Turku and Tampere. Snow Music can be peformed in a variety of manners: traditional, modernist, eccentric. And a new generation of musicians has taken on the task of evaluating and redefining the older traditions of ritual tunes and word magic. The impact of Snow Music has grown with the increasing need for a musical identity incorporating the poetic universe of snow. With this compilation, Snow Music marks its entry into the 21st century.